New Zealand is blessed with astonishing natural beauty. Consisting of two main islands, the North Island and the South Island, the country offers incredible diversity – and a number of must see places! You’ll find magnificent mountain ranges, active volcanic regions, picturesque lakes, mighty waterfalls as well as a fantastic array of wildlife. With so much to do and see it’s overwhelming deciding which places to skip and which things not to miss. When travelling New Zealand it’s important to have travel insurance. You never know what is going to happen and we’ve saved thousands of pounds in medical bills just by having insurance. It may seem expensive, but it’s nowhere near as expensive as covering all costs for yourself in an emergency. We recommend World Nomads for travel insurance as they offer insurance even if you’re already travelling. Click here to get a travel insurance quote from World Nomads within seconds! 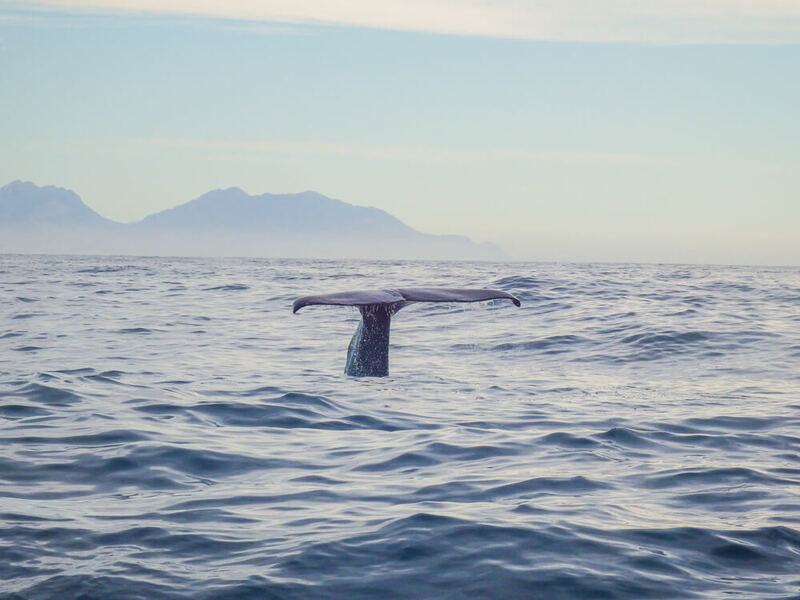 Wildlife enthusiasts, you simply cannot afford to miss out Kaikoura – a charming coastal town on New Zealand’s south island. Take a whale watching tour and find yourself just a matter of metres away from some of the world’s most majestic marine life – including a number of different whale species, dolphins and seals. It will take your breath away to witness playful dolphins and diving whales in their natural habitat. This is a story you will tell for years to come! Learn from our mistakes and take some seasickness medication. You don’t want to miss your chance to see these giants of the sea up close. Another great thing to do in Kaikoura is see the seals at Kaikoura peninsula. It’s a lovely place to take a walk and get up close to the seals as they go about their day. You can also walk along the cliffs of Kaikoura to get some lovely views of the area, which we definitely recommend if you have the time! Whale watching boat tours are available to book in advance on Viator. Click here and book now before tours sell out for your preferred date(s)! For one of the most unique experiences in New Zealand, go on a helicopter trip to see the whales in Kaikoura. It’s a far more expensive option, but well worth it if you have the money! Click here to check prices and availability of helicopter whale watching tours! Weather permitting, a trip to Franz Josef could be the highlight of your trip to New Zealand. You’ll take a short helicopter ride up to the glacier where you then hike across stunning glacial terrain. Finding yourself amongst gleaming blue ice, with brilliant panoramic views represents a special opportunity which you should take advantage of! We wish we had chance to do this but despite going in the middle of New Zealand’s summer, it rained for two days straight and our tour was cancelled. Many of our friends had better luck and assure us it’s one of the most amazing things they’ve done. Although Franz Josef’s main attraction is the glacier, there are some other activities worth considering too. For those wanting to get the adrenaline going, it’s possible to go skydiving. The highest skydive possible in New Zealand is actually in Franz Josef if you want to really push the limits! If you’re looking for something a bit less terrifying then you might want to visit the West Coast Wildlife Centre. At the centre you have the chance to see Kiwis – the famous flightless bird native to New Zealand. Tickets start at $36 NZD when booked online. We recommend booking your Franz Josef glacier hike in advance as it’s a popular activity and may sell out. It’s definitely one of the coolest things to do in New Zealand. 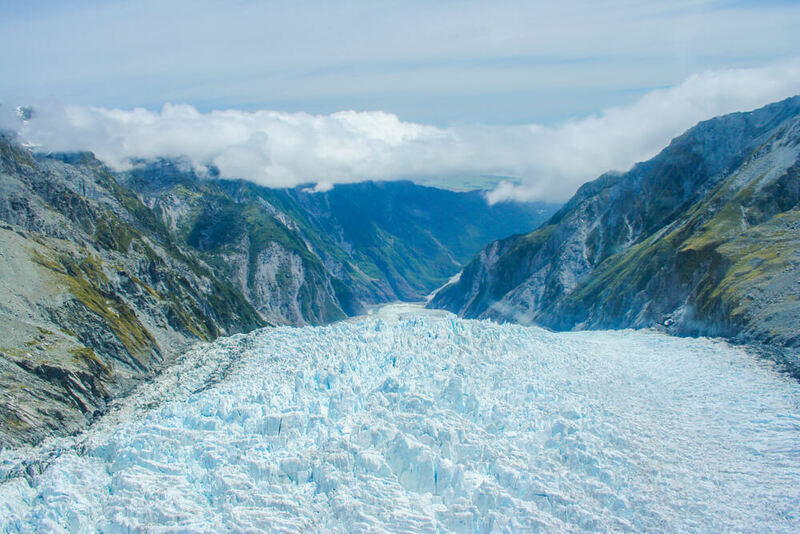 Click here to check availability and prices for the Franz Josef glacier hike. You can also book your skydive in advance to make sure you get one of the most incredible views possible in New Zealand. Click here to book a skydive in Franz Josef. Take a trip to the adventure capital of New Zealand. Whatever you’re looking for, there’s something for everyone in Queenstown – offering skiing/snowboarding (when in season), bungee jumping, skydiving, white water rafting and more. Even if you aren’t searching for thrills, the setting alone is worth the visit. This quaint town is set against a huge glacial lake with incredible views of the towering Remarkables mountain range, making it the perfect place for sharing a few drinks with your friends. While you’re in Queenstown it’s well worth going on a hike or two for spectacular views of the area. 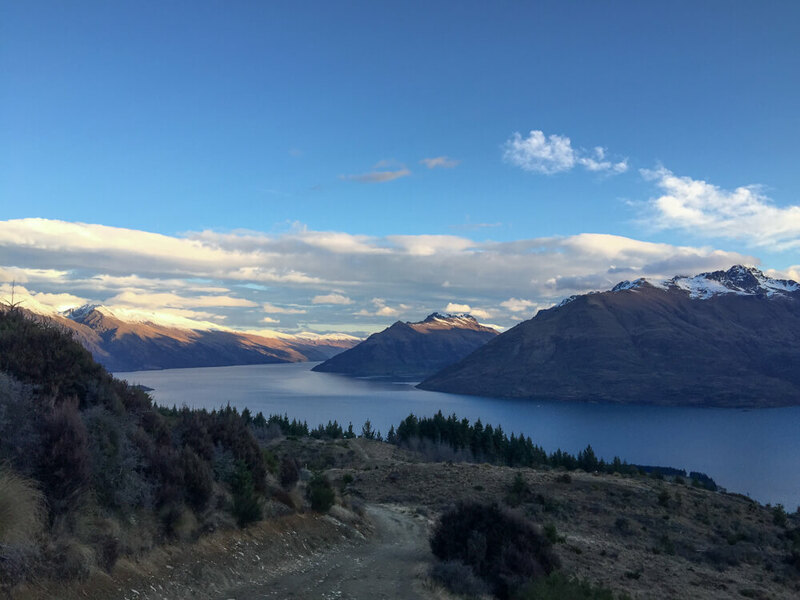 We recommend the Queenstown hill time walk, which gives spectacular views of the Remarkables and Lake Wakatipu. It’s also worth hiking the Tiki trail beside the Queenstown gondola, which leads through Douglas fir and beech forest up to amazing views of the area. Queenstown is a great place to visit no matter what the season. In winter you can warm up from the cold in the town’s many bars (check out Searle Lane for great drinks deals!) and try your hand at skiing/snowboarding. The summer is great if you want to hike and enjoy evenings drinking by the lake. One of Queenstown’s top attractions is the highest bungee jump in New Zealand – which is also the third highest in the world! Click here to check availability and test your nerve on New Zealand’s highest bungee! If you want to try something different, then consider booking a canyon swing in Queenstown. After a 200-foot free fall you’ll have incredible views as you swing back and forth through the canyon. Click here to find out more and book a canyon swing in Queenstown! For more thrill seeking take a ride on the famous Shotover Jet. You’ll reach speeds of up to 85 kilometres per hour as you race through the scenic shotover canyon. Click here to book yourself a ride on the Shotover Jet! A visit to Milford Sound in Fiordland National Park is one of the best things to do in the South Island of New Zealand. 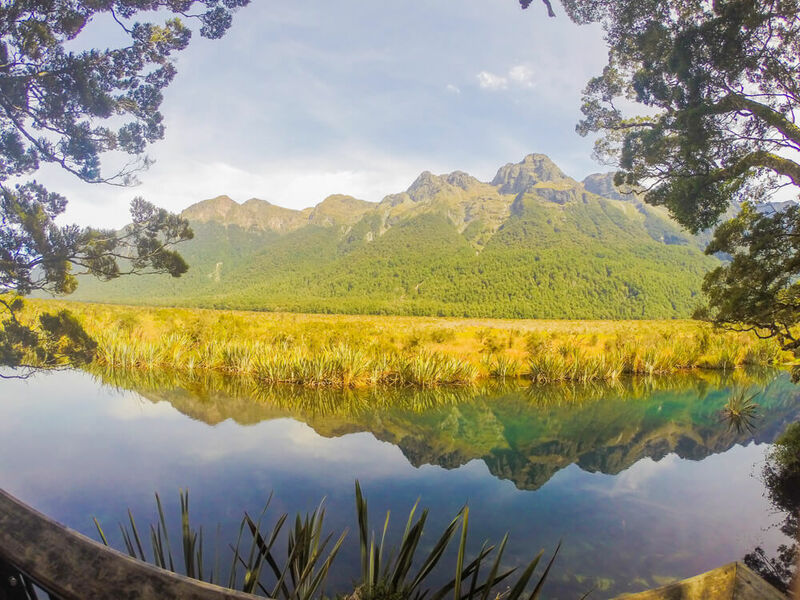 It’s one of New Zealand’s most iconic spots, most easily accessed as a full day trip from Queenstown – you can relax and take in the incredible scenery along the way, from rushing waterfalls to the beautifully still mirror lakes. The highlight of your day will be a cruise through the Fiord itself. 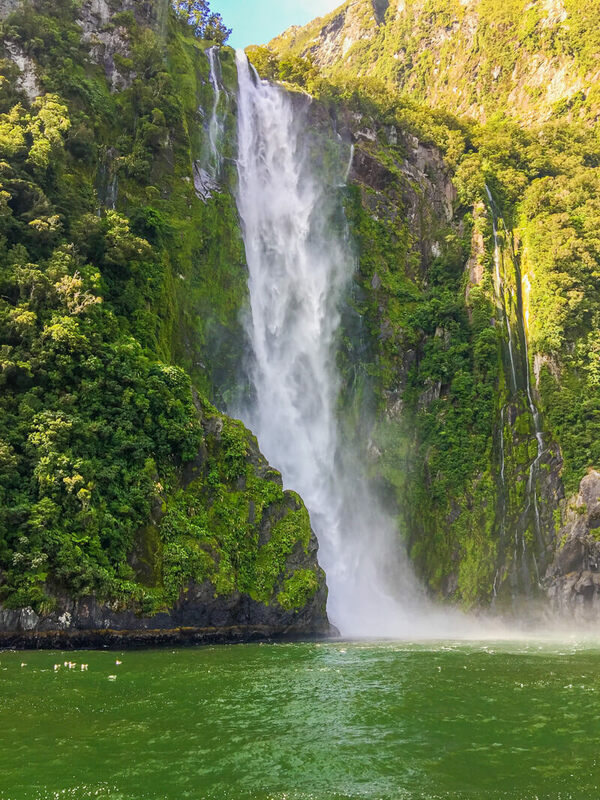 This gets you up close to spectacular landscape, with towering peaks, gorgeous green rainforest and the chance to get drenched under a powerful waterfall – which will leave your heart racing! With some luck, you may even catch a glimpse of dolphins, penguins and seals to make the day even more special! Visiting Milford Sound is one of the most popular things to do from Queenstown, meaning trips can sell out in advance – so don’t leave it to the last minute to book! Coach tours run daily from Queenstown and include a cruise through Milford Sound as well as a number of beautiful stops on the journey there. Click here to book a coach and cruise tour from Queenstown to Milford Sound. If you have the budget for it, then the best way to see Milford Sound is by plane. You’ll fly directly from Queenstown to get stunning views of Milford Sound from above before you land and take a cruise through it too! Not only that, but you’ll get even more great views on the flight back too! Click here to book an incredible plane and cruise trip to Milford Sound from Queenstown. Found in one of the country’s most volcanically active regions, Rotorua is a geothermal paradise and one of the most interesting places to visit in the North Island of New Zealand. Marvel at erupting geysers, bubbling mud pools and fluorescent green sulphur pools. Alternatively, immerse yourself in the fascinating Māori culture. Treat your taste buds to a traditional Māori Hāngī and learn to perform the world famous Haka. Be warned before you visit though, Rotorua does have an overpowering sulphur smell but don’t let that put you off taking in such rare geothermal phenomena and educating yourself on the ways of the Māori. An added extra for fans of the Hobbit and Lord of the Rings is the chance to visit Hobbiton. You can explore the Shire and see where scenes were filmed on this fun guided tour. If you’re a fan of the movies at all, this journey to Middle Earth is bound to be one of your New Zealand travel highlights. Enjoy discovering the fascinating geothermal activity with a trip to Wai-O-Tapu Thermal Wonderland. You’ll see a fascinating mixture of geothermal wonders, including the famous Lady Knox geyser. Tours include the entrance fee, a guide and round trip transport to and from Rotorua. 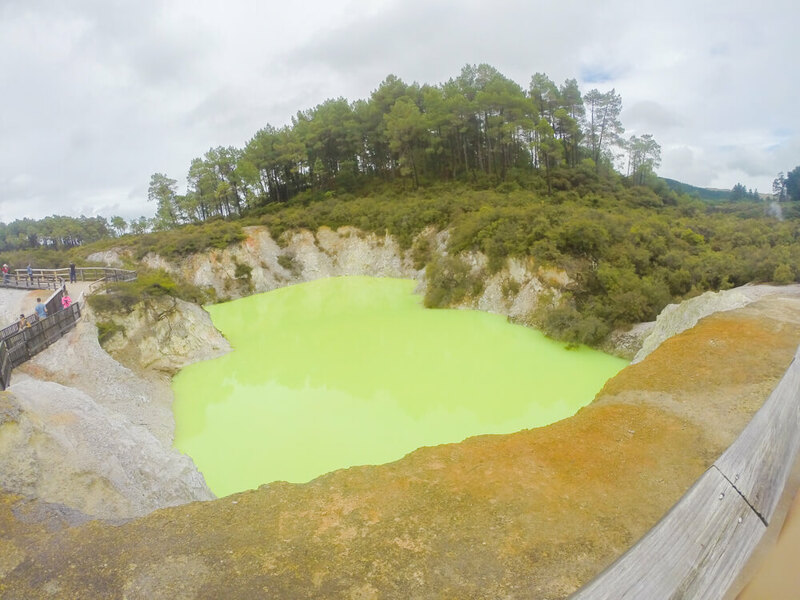 Click here to book a tour and discover some of Rotorua’s best geothermal activity! YOU SHALL NOT PASS through Rotorua without making sure to visit Hobbiton. Exploring the film set is one of the most fun things to do in New Zealand, visiting the various hobbit holes, discovering about how the films were made and finishing up with a free drink in the Green Dragon Inn. Click here to venture to Middle Earth with a Hobbiton tour! Home to the luscious blue waters of the vast Lake Taupo, which itself is roughly the size of Singapore, you won’t find yourself short of things to do here. Take the time to relax in beautiful natural hot springs, spend an evening sailing the lake, stare in awe at the sheer power of the Huka falls or challenge yourself to take on the Tongariro Alpine crossing for a real sense of accomplishment. 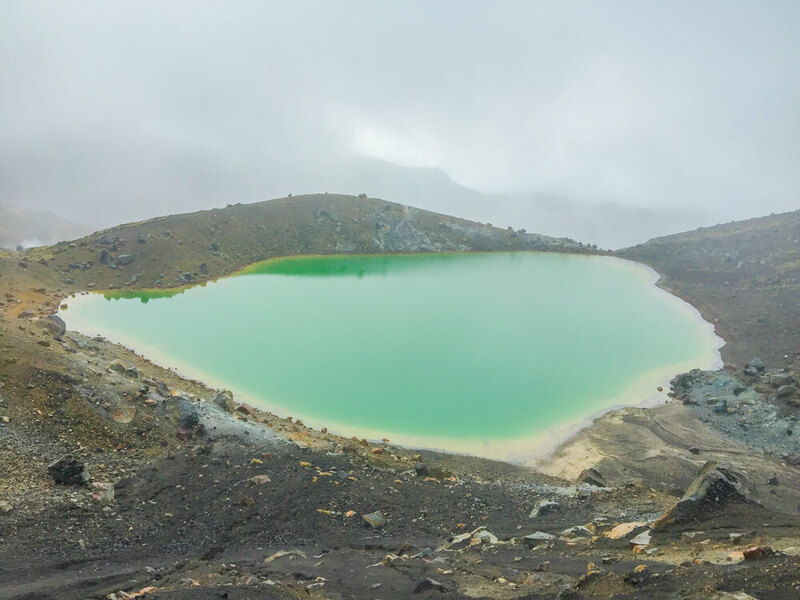 This near 20-kilometre hike takes you past the iconic Mount Ngauruhoe, instantly recognisable as Mount Doom from the famous Lord of the Rings films, as well as stunning emerald lakes making it particularly rewarding for lovers of the outdoors. The incredible landscape and nature throughout the hike are a must see on the North Island. Get up close to Mount Doom by hiking the Tongariro Alpine crossing. The best way to do the crossing is by booking round trip transport from Taupo, as this way your transport back to the town will be waiting for you once you finish the hike. With amazing scenery throughout the hike it really is one of the best things to do in the North Island of New Zealand. Click here to book return transport from Taupo to do the Tongariro Alpine Crossing. If you’re looking for thrills take a jet boat ride on the Waikato River to see and feel the impressive force of the Huka falls. It’s a great way to see the falls from another perspective! Click here to see prices for a jet boat ride at the Huka falls. When you go to New Zealand the chances are that your inbound/outbound flight will be going to/from Auckland. Having lived and worked there for around 6 months, we can categorically say there aren’t many exciting things to do in Auckland itself. However, that doesn’t mean you should leave before checking out some of the beautiful surroundings. Visit the volcanic island of Rangitoto and hike to the crater, passing wonderful viewpoints along the way. If that’s not for you, spend a few days on Waiheke Island appreciating the vineyard tours and gorgeous beaches. Alternatively, rent a car and head up north to the seemingly never-ending Omaha beach and a number of waterfalls along the way. In the city itself we’d recommend taking a stroll to Auckland viaduct and the Wynyard Quarter. The waterfront is a nice area and there are a number of restaurants and bars there if you fancy food or drink in the area. You can also head up the Auckland Sky Tower to get 360˚ views of the city from 220 metres high. If you’re feeling brave you can take a Skywalk on the outer rim of the tower or do the Skyjump and fall at a speed of over 85 kilometres per hour before safely landing at the bottom. The Skywalk and Skyjump are some of the best things to do in Auckland for thrill seekers. Visit Waiheke Island for a food and wine tasting tour to see 3 of the island’s best vineyards. Tours include the return ferry and a light lunch too! Click here to book a food and wine tasting tour on Waiheke Island! For incredible views of the city, take a trip to the Auckland Sky Tower – one of the few man made attractions in New Zealand. If you’re up for thrills then consider the Skywalk or Skyjump to really get your heart racing! Click here to book the Skywalk or here to book the Skyjump! Whether you’re looking to get out into nature, or just want that picture-perfect Insta shot – make sure to visit Lake Pukaki. Glacial waters make it a mesmerising shade of blue that will make you question whether your eyes are deceiving you. If that isn’t enough to convince you to visit, it offers dramatic viewpoints of the colossal Mount Cook – New Zealand’s highest peak. 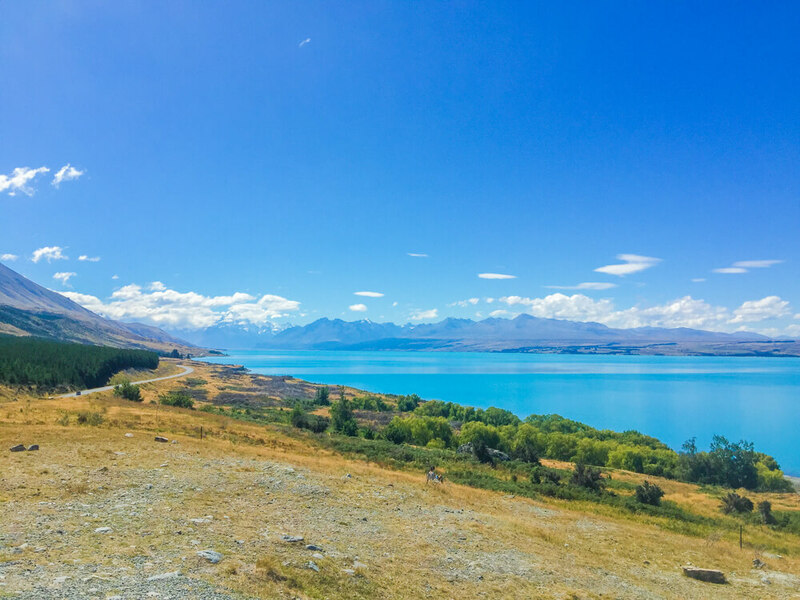 Lake Pukaki and Mount Cook are some of the most beautiful sights in New Zealand, so we strongly recommend at least a quick stop in the area! Take a Ski Plane and Helicopter tour to get extraordinary views of Mount Cook. If that’s not enough, you’ll also land on the longest glacier in New Zealand – the Tasman glacier. Click here to book the incredible Ski Plane and Helicopter tour of Mount Cook and the Tasman glacier! Prepare to be blown away – New Zealand’s capital is the world’s windiest city! 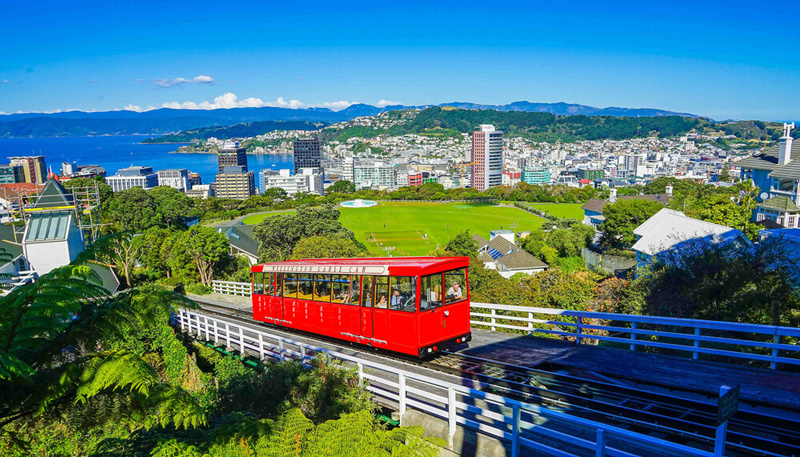 Take a cable car ride to the alluring colours of the botanic gardens, head up Mount Victoria for sensational panoramic views, educate yourself on the intriguing Māori culture at the national museum of New Zealand (Museum Te Papa) or just take a stroll to appreciate the beauty of Wellington’s waterfront. Consistently ranking as one of the world’s most liveable cities, you may just find yourself not wanting to leave! Make the most of your time there with this list of free things to do in Wellington. New Zealand’s smallest national park is home to some of the most alluring golden beaches you’ll find anywhere in the country. 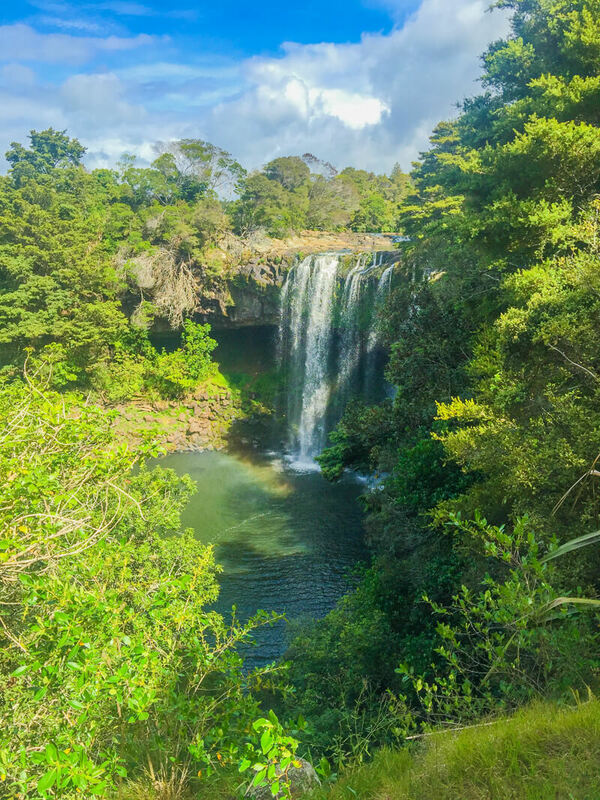 Hike to waterfalls hidden in the forest, search for Cleopatra’s pool (which has its own natural waterslide) or relish the opportunity to kayak through the park’s exquisite waters. 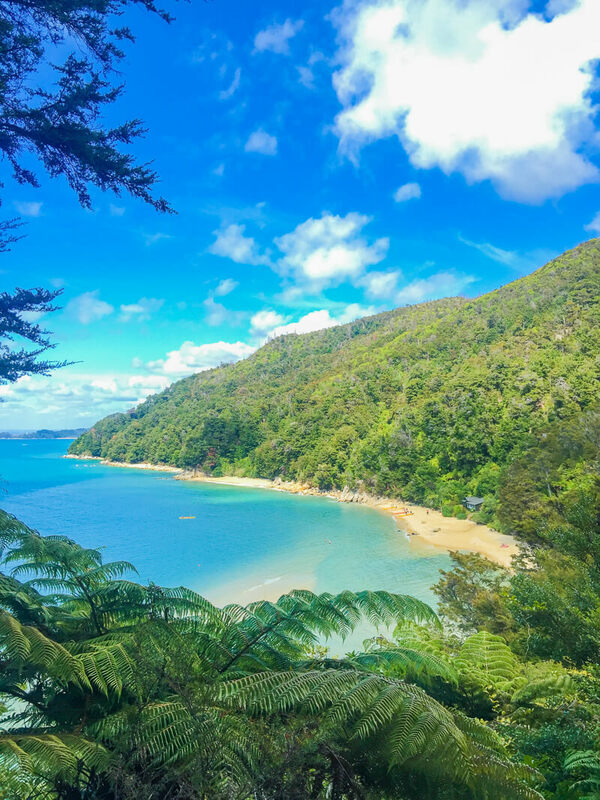 Whether you’re looking to soak up the sun on blissful beaches or adventure into nature, Abel Tasman is a wonderful place to spend some of your trip. The park covers 237 square kilometres, and is one of the most naturally beautiful places in New Zealand! There are a number of campsites in the park and lots to discover if you follow the Abel Tasman Coast Track. Take a cruise to explore the beauty of Abel Tasman National Park. You’ll have the chance to see some of the park’s marine and brid life as well as having impressive views of the park itself. There are 2 options in terms of cruises – one which involves a hike and one which doesn’t. Click here to book the cruise and hike at Abel Tasman National Park or here to book just the cruise. New Zealand is a truly beautiful country, with an abundance of activities and must see places to visit on both islands. With such wonderful nature it really is a country begging to be explored. For even more inspiration, check out these 20 photos to inspire you to travel to New Zealand’s South Island. Take your time making an itinerary to suit you. That way you can make the most out of your trip to one of the world’s most scenic countries. Explore the country below with this map of New Zealand! Like this guide to the must see places in New Zealand? Pin it! Missed Kaikoura and Wellington on our trip. We had two weeks yet it was too less! We definitely need to go back! 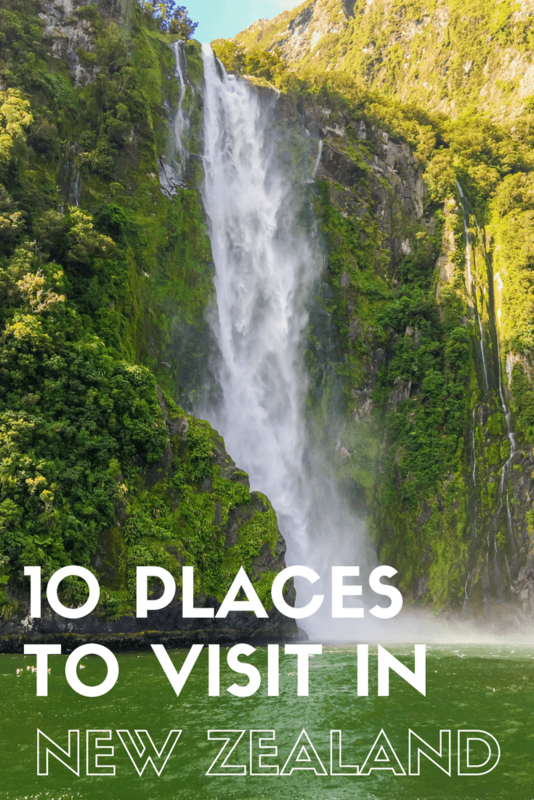 This post comes in handy as i am planning for solo new zealand trip! thank you, hope you have a great trip! New Zealand was already on our bucket list. Well, it’s been there for a while now! But your photos really gave it a kick, we need to plan a trip over there, wow! Besides, seeing whales up close would be a dream come true for me! thats what made it a dream come true for us! Yes we highly recommend that as well! I have read so much about New Zealand in my 9th standard (year 2000) and remember that New Zealand offers the perfect weather for milch animals to survive and thrive. This post rekindles those memories of fond reading and absorption of facts. Among all the places mentioned, Queenstown looks like a bundle of activities. would love to do bungee jumping here! Newzealand is one of my best places in the world. Thank you so much for sharing post on Newzealand. Great list! 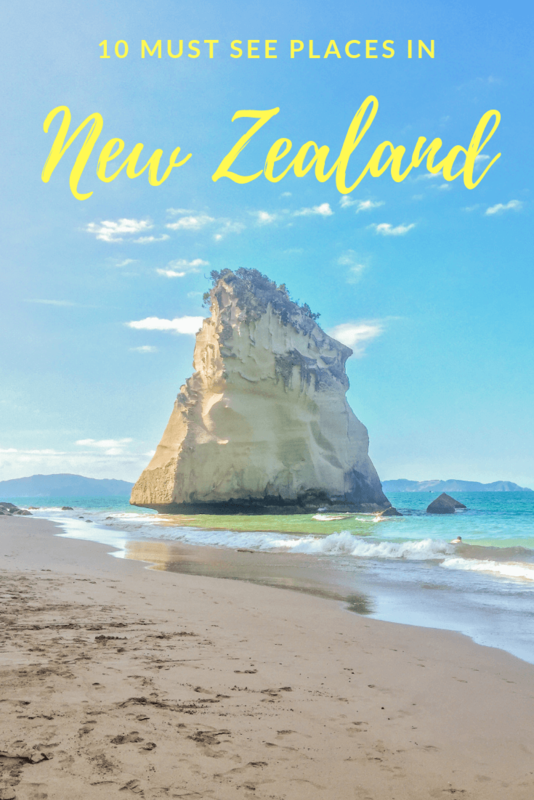 There is so much to see, do, and love about NZ! This is a great start! What a great list. New Zealand is on my husband’s bucket list, so we will get there eventually. Love the photos. thank you! We hope you get there as well!